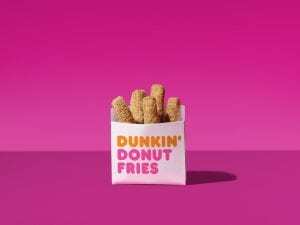 Free Donut Fries at Participating Dunkin’ Donuts! On Friday, July 13, Dunkin’ Donuts is giving fans a chance to try new the Donut Fries for FREE in honor of National French Fry Day! The first 100 guests at participating Dunkin’ Donuts restaurants will receive a free order of Donut Fries from 10am to 2pm on National French Fry Day, Friday, July 13. For more information about Free Donut Fries this Friday at Dunkin’ Donuts, please head here. Will you be trying these Donut Fries this Friday? Hi: I just was directed to your website by Google I was looking for free summer fitness events in Boston. Your listing is for 2017 do you have an up-to-date listing? Thank you in advance for your assistance.